Author of The Book of Paul and the forthcoming young-adult fantasy series The Dream Palace. Dad to Nic and Emma, two awesome, amazing and always inspiring children and husband to Ariane, my love, partner, comrade in arms and biggest supporter. I love your first entry. And I love you. 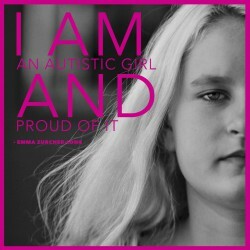 Having had no internet access for the last four days, your journal/blog about Emma is a wonderful surprise. And the journey you and your beautiful family is experiencing is touching, it’s thrilling, it’s inspirational. Thanks for taking the time to communicate. Hi Richard. It’s Michele…from Wisconsin…that Michele. Emma is beautiful and I have sat here for an hour reading her story. Everyone’s story. I actually went back to school and became an Autism Therapist. I love it…love the kids profoundly and see progress big and small, but often enough to know that it happens and to never give up. My nephew just got his driver’s license…the child who didn’t talk until he was 4. He is in high school…has friends…is a straight A student. He is quirky…but who isn’t. He has come so far beyond what we were initially told he would…as do many of the kids I work with. I will continue to follow Emma’s journey and I will be hoping…knowing…that the answers inside of her will be revealed to you. Emma is just amazing. I love the fact that she refuses to be set aside but have found a way to let her voice be heard, showing that she has a disability, but she is Emma. Embrace my difference and allow me quality of life.